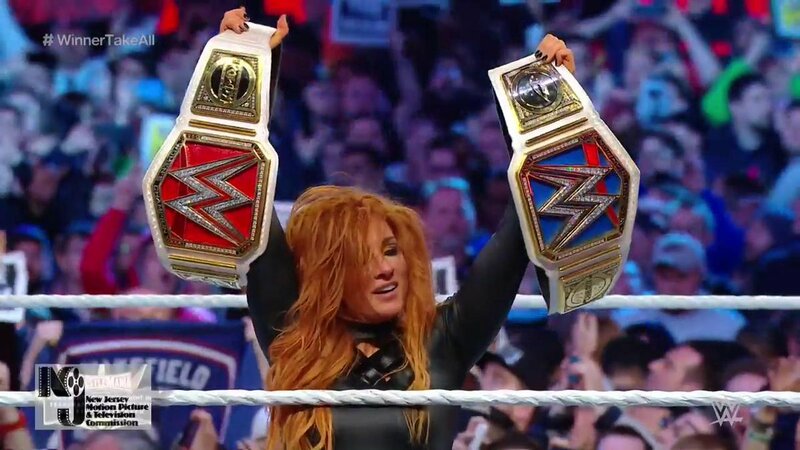 Big Title Change In The "Winner Takes All" Main Event Of WrestleMania 35 (Photos, Videos) - Wrestling Inc.
Becky Lynch won tonight's "Winner Takes All" WrestleMania 35 main event over Ronda Rousey and Charlotte Flair to become the new SmackDown Women's Champion and the new RAW Women's Champion. This is Becky's first run with the red brand women's title. Rousey won it back at SummerSlam 2018 by defeating Alexa Bliss. This is Becky's third run with the blue brand women's title. Flair won it back on the March 26 SmackDown episode by defeating Asuka.